Maduro’s order met with some resistance from the diplomatic mission staffers. 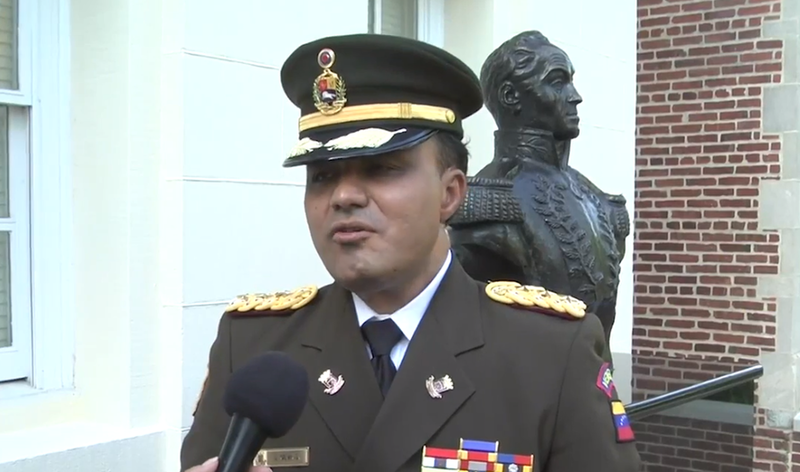 According to Silva - a colonel in the National Guard, "A high percentage of diplomats here do not agree with Maduro’s usurpation of power, but there’s always fear of what can happen to relatives in Venezuela and the uncertainty of what can happen in a foreign country. Even diplomacy is now prisoner of the minority that has systematically seized control of the power in our country." Many members of the Venezuelan armed forces fear reprisals by Maduro, however Silva emphasized that honest members of the military must step forward and reject the regime "because of Maduro's usurpation of power following his allegedly fraudulent reelection," according to the Herald. "Enough! Leave aside the illegal control of our territory and the executive power. The leaders have become millionaires on the backs of the people,” he said. “Captains, commanders: Think about everyone who suffers. Don’t forget that your wives also can’t find milk for your children. Don’t forget that your mothers and fathers also can’t find pills for their [blood] pressure," said Silva. "Enough already! Let’s recognize the man who under the law is the true president of Venezuela, Juan Guaidó."